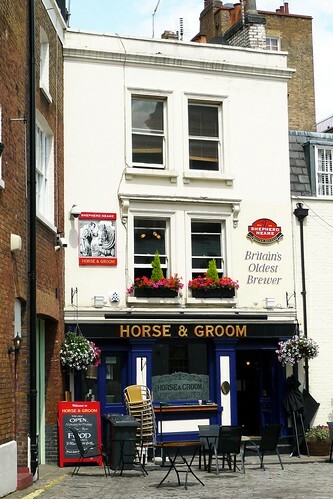 This week's featured article is The Horse and Groom, SW1X 7BA, an unpretentious mews pub, albeit in a very upmarket part of town. Sadly, its great age and lesser size mean that it's not very accessible. Our one addition is Lime Orange, a Korean restaurant with good beef but too many onions. Kake, are you learning Korean now? One reported permanent closure is Roganic, a fine dining outpost for Simon Rogan which was only ever set to be open two years (whether this makes it a "pop-up" or not, I'm still not clear on) and has indeed closed after two years. 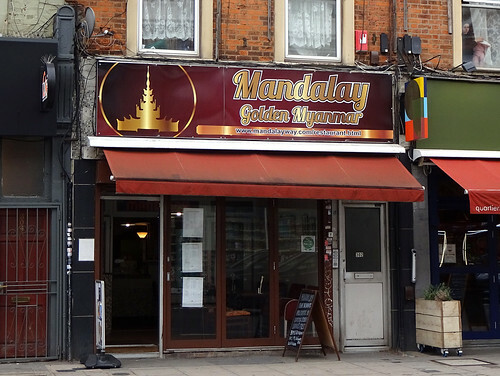 Moving south to Croydon, the old Fish and Grill has been renamed to Brasserie Vacherin, under the same ownership. 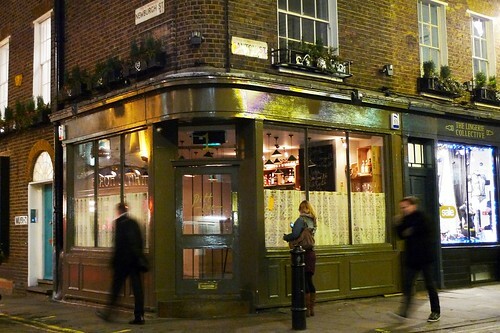 Finally, a closure of sorts is The Northgate, a pub in De Beauvoir Town which has now reopened as The De Beauvoir Arms. At least it's still a pub.